Diamond Signs and Graphics is your local source for attractive, eye-catching, and brand cohesive custom signs and graphics! Diamond Signs and Graphics is your one-stop sign resource for clients in the Cleveland, Ohio area. Our sign manufacturing company serves commercial, private, and government clients looking for a great value and high-quality signage. As a sign company with expert in-house design, manufacturing, and installation, we can offer our clients a personalized service on a quick turnaround. Need to speak to someone about your signage needs? We are happy to meet with you on-site and discuss the details of your sign project. Call Diamond Signs and Graphics at (216) 367-9898 today to schedule a free consultation. Diamond Signs and Graphics is your creative local signage partner providing high-quality signage at an outstanding value! We understand that the details of sign production, including art specs, manufacturing details, and precise installation, can feel overwhelming. Diamond Signs and Graphics offers an all-inclusive sign design process, where our team of experts will handle all the details of your project at your direction. Our experts apply their industry experience to your project, striving to make the sign process transparent and fun for our customers. Once we understand your sign project goals, which we identify at your initial sign consultation, our designers and fabricators will take responsibility for delivering a product that meets and even exceeds your expectations. Looking to increase your visibility with business signage? Want to improve usability of your space with wayfinding signs? You’ve come to the right place. As a Parma sign company, we stay busy offering just those solutions to local businesses. 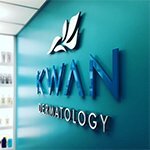 We always approach each project as a unique opportunity to offer outstanding signs to our clients. Got questions? Call Diamond Signs and Graphics today at (216) 367-9898 to schedule your free consultation. Diamond Signs and Graphics offers a complete product line-up of indoor signs, outdoor signs, vehicle wraps, and custom sign graphics and solutions. There’s no project too big or too small for Diamond Signs and Graphics. For that matter, there’s not business too big or too small to benefit from a great sign! Our team is focused on offering clients signs that cater to your needs. To successfully achieve this, we stock a wide-range of product lines and utilize state-of-the-art equipment. When a project calls for something truly custom, our cohesive team will build your sign from scratch. As a full-service sign making company, Diamond Signs and Graphics offers a complete range of signs. Within each sign type we can offer options that meet your budget and branding needs, such as our wide range of vinyl sign products. During your free consultation, a sign expert will meet with you and discuss the details of your project. Our goal is to offer a comprehensive sign process that adheres to your objectives. Diamond Signs and Graphics offers durable outdoor and exterior signs that designed and crafted locally in Cleveland. Take your outdoor signage to the next level! 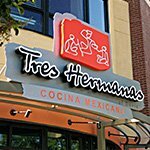 It’s important to consider durability and quality when selecting an outdoor sign. When you work with Diamond Signs and Graphics, we will suggest several options to our customers that suit the needs of the specific project. 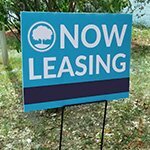 For example, an awning sign for clients with limited sidewalk space, or a sandwich board sign for customers who have ample sidewalk space in front of their business. We work with retail stores to create promotional signage, small businesses to create customized commercial signs, and individuals who need signs for their events or homes. At your consultation, a member of our team will discuss the durability needs of your outdoor sign project, offer suitable suggestions, and answer any questions you may have. Your free consultation is a great time to talk through customization options with our sign expert! An outdoor sign should be just as unique as your business. We’ve made it simple to schedule a consultation. Just call Diamond Signs and Graphics at (216) 367-9898 today, and you’ll speak with a member of our team who will set up an on-site meeting with you. 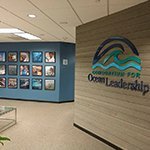 From promotions to office decor, indoor signs allow you to define your space. We love the versatility of interior signage, especially the ways that it allows business owners to promote and brand spaces. Most businesses utilize indoor signs, whether it’s a handwritten sign on a restroom door or vinyl lettering on your business storefront to indicate hours of operation. Diamond Signs and Graphics designs professional indoor signs for commercial and private businesses. Our experts are also familiar with compliance regulations regarding ADA and accessibility signage, and we design attractive signs that meet Federal standards. Diamond Signs and Graphics streamlines the sign design process, optimizing client input and minimizing stress. Our team will communicate with you to establish deadlines, budgets, and end-use requirements. Schedule your free consultation by calling us at (216) 367-9898, and rest easy in the knowledge that your project is in the hands of one of the highest-rated sign companies in Cleveland, OH. For more information on the types of indoor signs that we offer, including details on our sporting arena floor graphics, large-format interior murals, promotional and restaurant signage, please give us a call at (216) 367-9898. Vehicle wraps deliver a consistent, effective message to a large audience. 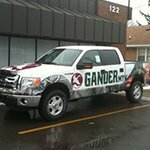 Why not advertise your business to a large audience through the use of customized vehicle wraps and graphics? Drivers present a captive audience to companies looking to increase visibility. More often than not, custom vehicle wraps and graphics leave a lasting impression and allow a company to establish strong brand recognition. Vehicle wraps and graphics require the assistance of a professional team of designers, craftsmen, and installation professionals. The team at Diamond Signs and Graphics has a proven record of successful vehicle wraps and graphics projects. We would love to take your automobile to the next level by applying our industry experience to your project! To get started, call us at (216) 367-9898 today! We offer all clients an initial free consultation. For those that want to stand out, a customized solution is available from Diamond Signs and Graphics. A one-size-fits-all sign isn’t our style. We prefer to approach each project as an individual opportunity to create unique signage. However, custom signs, wraps, and graphics is an opportunity for Diamond Signs and Graphics to really flex our design and sign manufacturing skills – to create something truly one of a kind for our clients. Because our entire sign creation team is housed under one roof – right here in Cleveland- we can offer custom signs in a way our competitors cannot. Collaboration is the key to success when it comes to custom signs! Whether you need a simple logo sign, or a complex set of signage for an event of new business, we design, manufacture and install high-quality custom business signage that is attractive, elegant, and cohesive with your brand guidelines or purpose. For each client, the custom sign process starts with a free consultation. Schedule yours today by calling Diamond Signs and Graphics at (216) 367-9898! We take a thoughtful approach to each sign project. At Diamond Signs and Graphics, we make client satisfaction our primary goal. Professionalism and expert sign craftsmanship are the tools we use to ensure our customers are happy with their signage. We approach each project thoughtfully and by adhering to a proven process, which we have described below. The cornerstone of a successful sign project is an initial consultation. A member of the experienced team at Diamond Signs and Graphics will meet with you on-site to understand the details of your project and to establish clear project milestones, such as time frame and budget. We provide suggestions, clarify any questions you may have, and guide you through our many product options. Call us at (216) 367-9898 today to schedule your free consultation! Our designers are industry experienced professionals with the skills to make your project a success. The sign designers at Diamond Signs and Graphics work directly with clients, building designs from the ground up or working with existing artwork. After your consultation, our design department will work with you directly to relay specifications and format information. Once we have created a mockup of your design, a final proof will be given to you for approval. Upon approval of your proof, our expert sign makers will begin crafting your sign immediately. This process is done completely in-house, right here in Cleveland. Not only does this keep your project local, it also gives our clients the value of a collaborative design/manufacturing team. 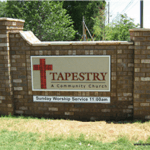 Our sign manufacturers ensure the precise production of your sign, and fabricate or source any support structures or pieces needed for installation. Don’t overlook the value of a professional sign installation! Clients or other sign companies may gloss over professional sign installation, but this step is equally as important as design and manufacturing! Without an expert installation, your signs will lack the professional touch essential to effective signage. A sign technician from Diamond Signs and Graphics will arrive on-site with all needed supplies to install your sign, cleaning up before they leave. 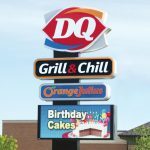 Diamond Signs and Graphics is Cleveland’s top sign company, providing attractive, high-quality business signs that help you accomplish your business goals. We look forward to becoming your long-term signage partner for all of your Cleveland sign and graphic needs! Contact us today at (216) 367-9898 for your Free Consultation with a Signs & Graphics expert!